* Sometimes I eat chips and salsa for dinner. * I use my bicycle bell like my dad uses his car horn. * I phone my family (and friends that I consider family) every week. * My excuse for buying high-priced good-quality items is that is’s a good investment. It’ll last longer than the cheaper alternatives. I have one of the best, most supportive, generous, caring father’s a girl in the arts could ever hope for. 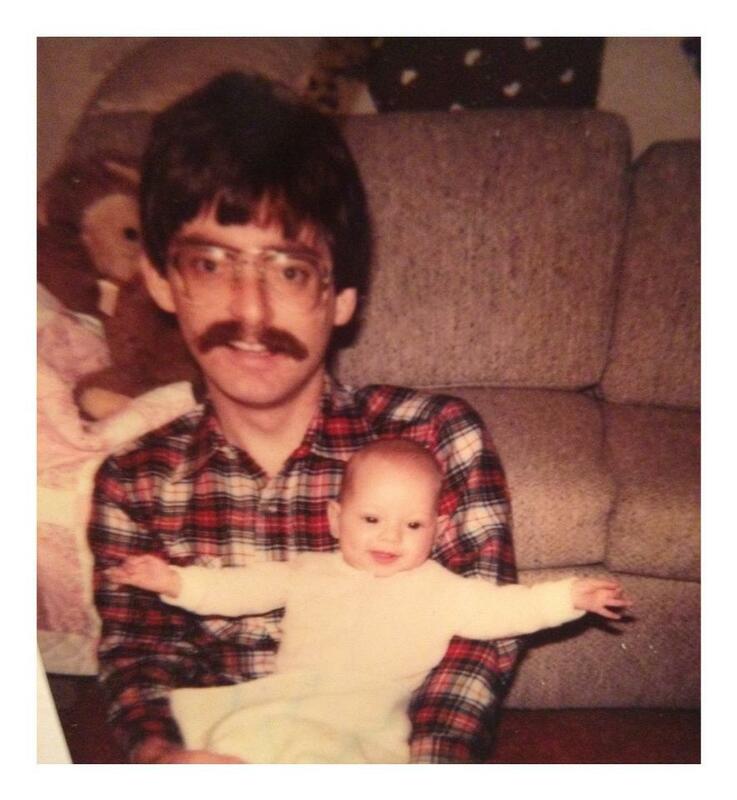 Also, he used to have a sweet moustache that I bugged him to shave for years. Dad, I’m sorry about that.